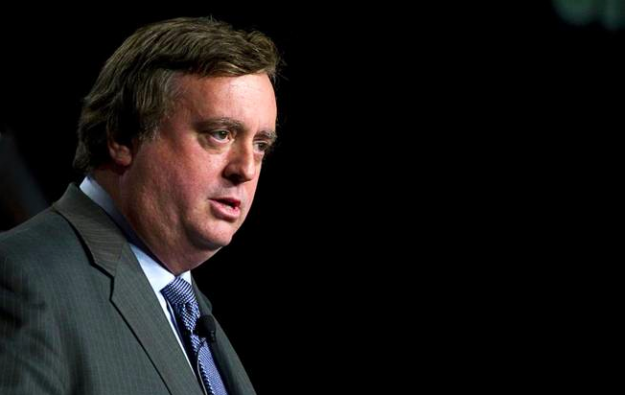 Gary Loveman (pictured), chief executive of Las Vegas-based casino operator Caesars Entertainment Corp, says the company is working to open its casino project in South Korea’s Incheon before the 2018 Winter Olympics. Pyeongchang, in the country’s Kangwon province, will host the Olympic Winter Games from February 9 to 25, 2018. “When I was in Seoul in June, each of the government leaders I met with urged us to open the resort before the 2018 Winter Olympics,” Mr Loveman said on Monday on a conference call. “We are mobilising our efforts in order to work to meet that target,” he said, adding that the company is now working on the design and other details for the project. Caesars is one of the partners in what is a multi-phase casino project for Yeongjong Island, part of Incheon Free Economic Zone near the South Korean capital Seoul and its Incheon International Airport. The consortium last month completed a US$10 million down payment on the land for the scheme and the partners might break ground next year, with the aim of opening in 2018, Steven Tight, president international development for the casino operator, told GGRAsia in July. On Monday, Caesars said its second-quarter loss more than doubled from a year ago, hurt by higher operating costs and other charges, despite a 3 percent revenue growth. Caesars reported a second-quarter loss of US$466.4 million, or US$3.24 per share, compared to a loss of US$212.2 million, or US$1.69 per share, a year earlier. Revenue for the three months to June 30 increased by 3 percent to US$2.19 billion from US$2.12 billion a year earlier. Analysts polled by Thomson Reuters expected a loss of US$1.19 per share for the quarter. “For the second quarter, our business demonstrated continued strength in Las Vegas driven in part by our hospitality investments, which was offset by the persistent softness in the regional markets and Atlantic City,” said Caesars’ CEO. Casino revenue dropped by 1.9 percent in the quarter, driven by lower volumes and visitation primarily in Atlantic City and the regional markets, the company said. Operating costs rose to US$2.08 billion from US$1.99 billion last year. Interest expense for the quarter increased 21.1 percent to US$653.7 million. Caesars is bidding for a gaming licence for a US$880 million casino resort it wants to develop in Woodbury, upstate New York. Additionally in June, Mr Loveman said the casino operator “will have no trouble” raising the finance for a world-class facility in Tokyo if casino gaming is legalised in Japan. Caesars’ corporate debt stood at more than US$23 billion as of March 31. The company, rated nine levels below investment grade by Standard & Poor’s, has sold assets, transferred properties between units, refinanced some debt and sold equity to stay solvent. It emerged last week that Caesars is suing some institutional investors in New York state court in Manhattan in the U.S. claiming they tried to push a unit of the casino company into default on a portion of the group’s debt. Some investors have in turn accused the Caesars group of moving assets between entities to protect its “good” assets from creditors.